Highlight on fleek seems to be the complement of the moment. I have to say, it does make me cringe! However, I have found two products that achieve that on point highlight which let's face it, we all want. I'm talking about two beloved products in my collection, Mac's Cream Colour Base in Hush and Becca's Shimmering Skin Perfector in Champagne Pop. Alone, these give a beautiful glow. Together, you get such an intense peachy gold highlight that looks amazing! I apply Hush using my fingers to the high points of my face after I've concealed but before I use powder. 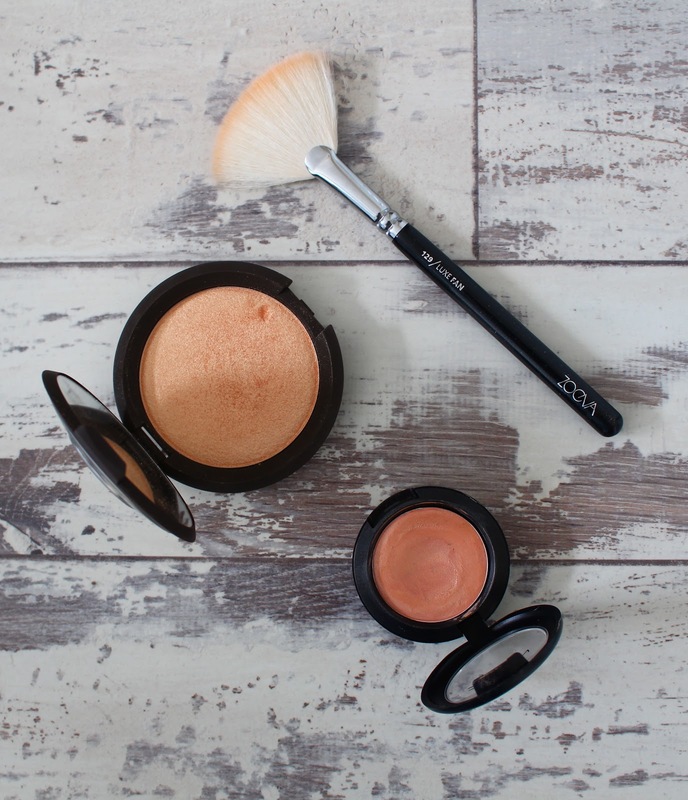 I then apply Champagne Pop on top using a fan brush as the very last step of my makeup routine. I'm so impressed with how these make my skin look. I'm talking super healthy and glowy. There isn't anything natural about it, but it also doesn't look ridiculous. I'm not sure I'd wear this combo everyday, but when I want to go all out, hell yes! If you want highlight on fleek, get these two products. Yep that still makes me cringe. I've had my eye on hush for a while now! Need it even more now that you say its the perfect pairing with champagne pop! Haha! It's such a pretty highlight! Hush would look great on you! It's a little bit peachy but so natural. Looks incredible on the skin.